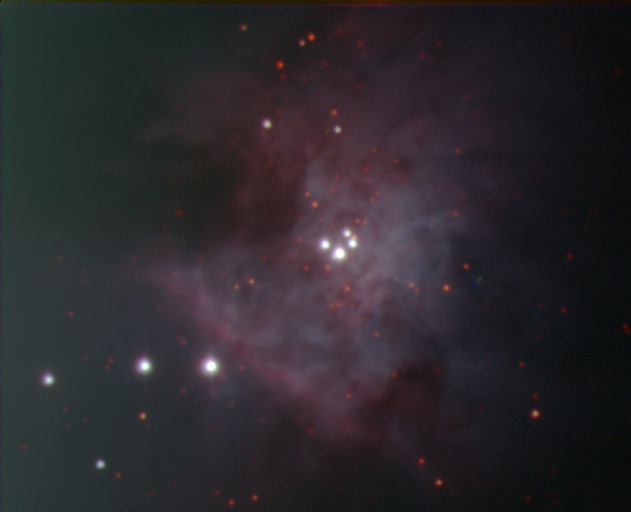 Here are two pics of the Trapezium star cluster. It's embedded in the center of the Great Orion Nebula. These images are from a week ago, we had a nice clear night here. I had imaged the Trapezium previously with my old camera; I don't think I captured any more detail this time but the color balance is much better IMO. The first picture is in true color. The second is a false color image that includes near-infrared light - this allows you to see more stars that are otherwise obscured by all the dust in the nebula.